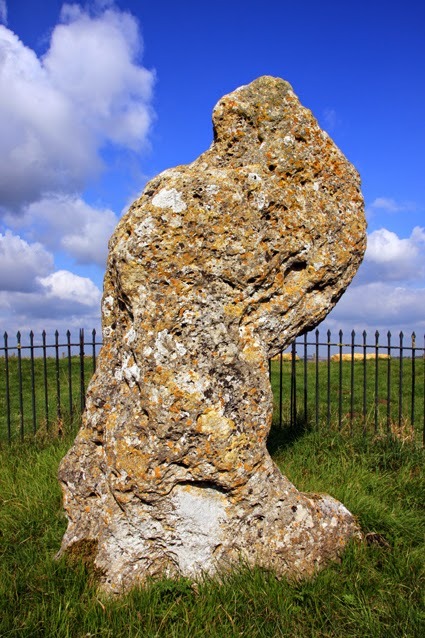 With Halloween approaching, it is a time for tales of foul plots, twisted curses and wicked witchery so here is the legend of the Rollright Stones. King of England thou shalt be!" So, the king and his men dismounted and gathered in a circle to discuss the challenge. The men were wary, but the king fancied his chances and took seven huge steps forward. On his seventh stride the ground rose up before him, blocking his view of Long Compton, which was in a valley. King of England thou shalt not be! And I myself an elder tree!" So the king and his men were turned to stone. The king became the solitary King Stone, while nearby his entourage formed the circle that was henceforth called the King's Men. But why did the witch do this? Some say four of the king's knights had been plotting against him. Perhaps they had paid the witch to cast her magic. In any case, the legend says that after petrifying the king and his men, the witch went to where the four knights had gathered to whisper about their scheme, having lagged behind the main party. She turned the knights to stone as well before transforming herself into an elder tree to watch over them. Today they are called the Whispering Knights. 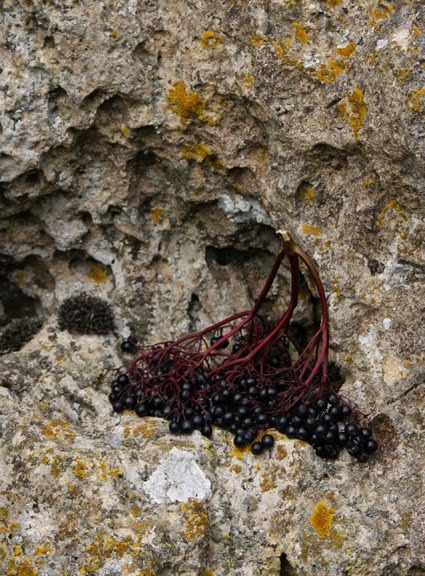 Elder trees do indeed grow nearby and when I was there at Autumn Equinox someone had left an offering of elderberries at the Whispering Knights. There are various other folk tales related to the stones. Some say they come alive when the church bells can be heard ringing in the area. Some say it is impossible to count the stones in the circle as the number reached each time is different. During the two world wars, the stones were roped off because local conscripted soldiers were in the habit of breaking off pieces of the stones to carry with them as good luck charms to protect them from harm. 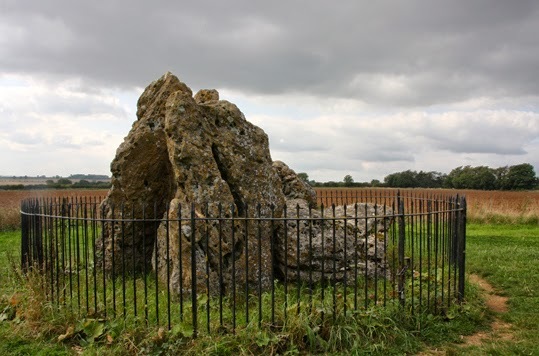 Whatever truth might lie behind those tales, you can visit the three sets of megaliths at the Rollright Stones, near the village of Long Compton on the border of Oxfordshire. They are made from local oolitic limestone and are known as the King's Men, the King Stone and the Whispering Knights. Archaeology tells us, however, that they date from different periods in late prehistory. The Whispering Knights are the oldest. They are the remains of an Early or Middle Neolithic burial chamber. The King's Men stone circle was constructed in the Late Neolithic or Early Bronze Age. It is similar to some of the stone circles in the Lake District, implying a trade or ritual connection between the two areas. The King Stone is a single monolith and is probably a Bronze Age grave marker. The Cotswold Order of Druids holds regular seasonal open rituals at the stone circle. The next one is for Samhain and will be on Sunday 2 November at 4pm.